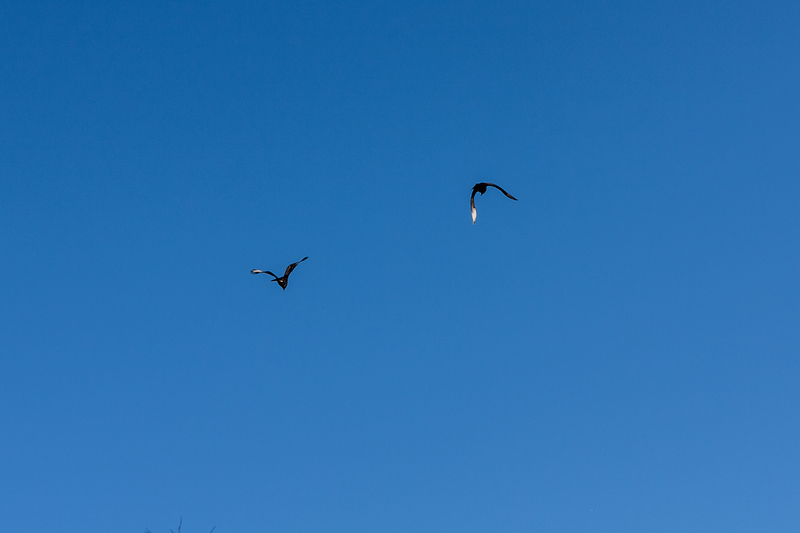 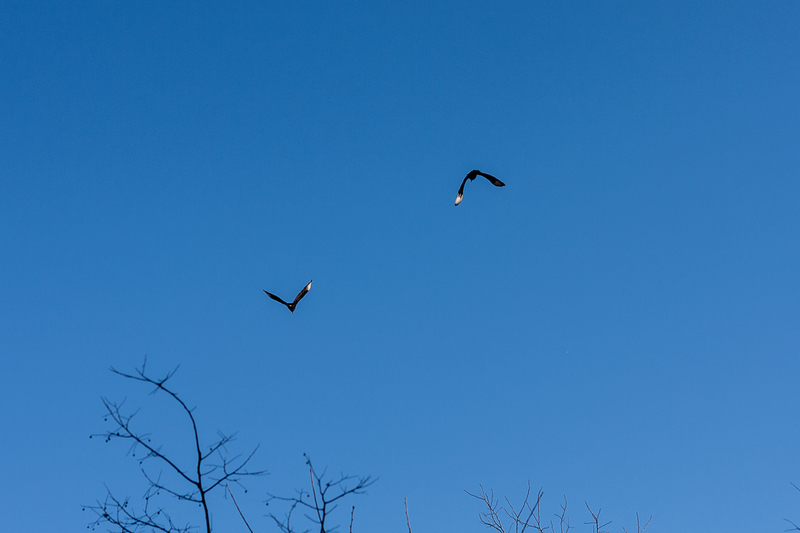 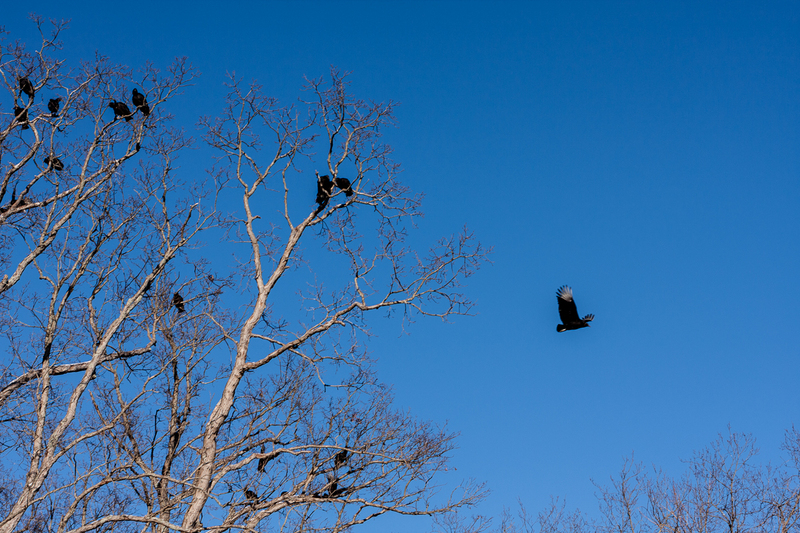 Vultures are a daily site throughout the Bluegrass. 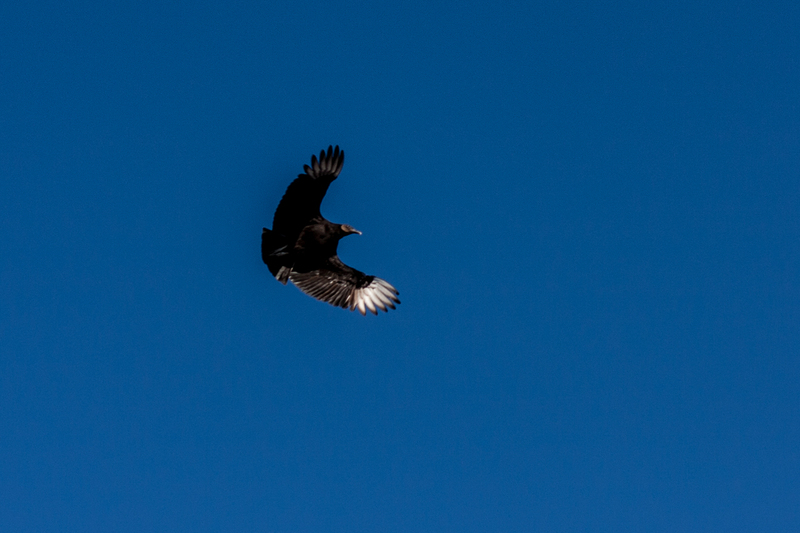 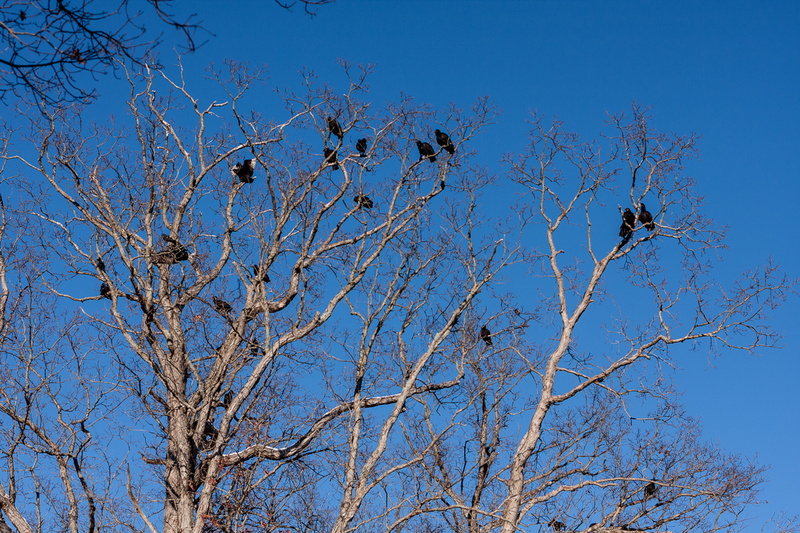 The majority are turkey vultures, but in recent years there has been a gradual increase in the population of black vultures, Coragyps atratus. 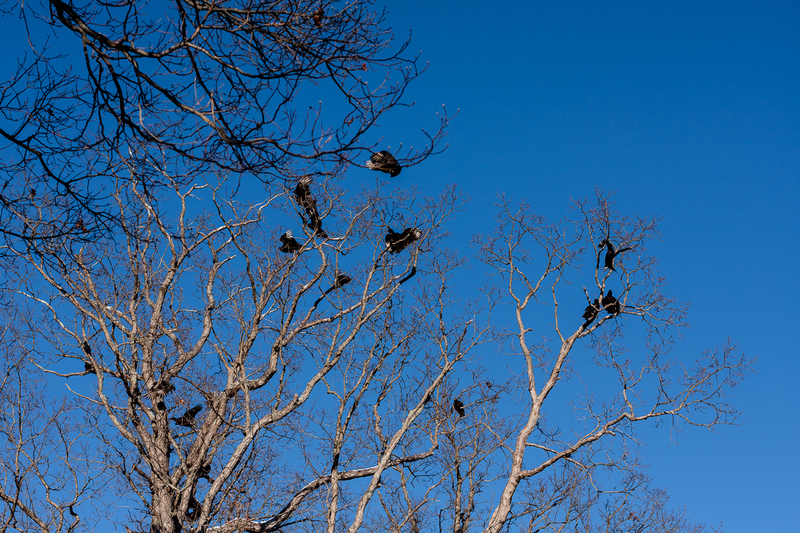 This is significant because, while turkey vultures are strictly scavengers, black vultures are both scavengers and predators. 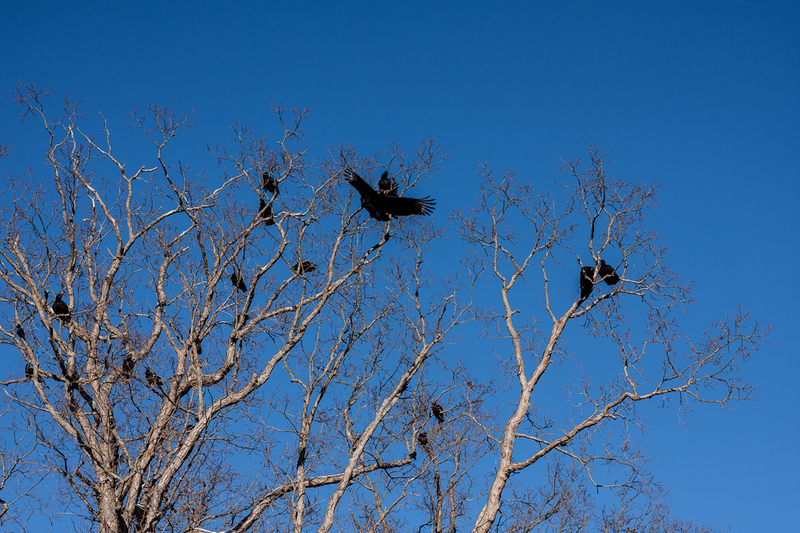 Although tales of them attacking grown livestock are certainly apocryphal, there is no question that they will prey on newborn calves and foals. 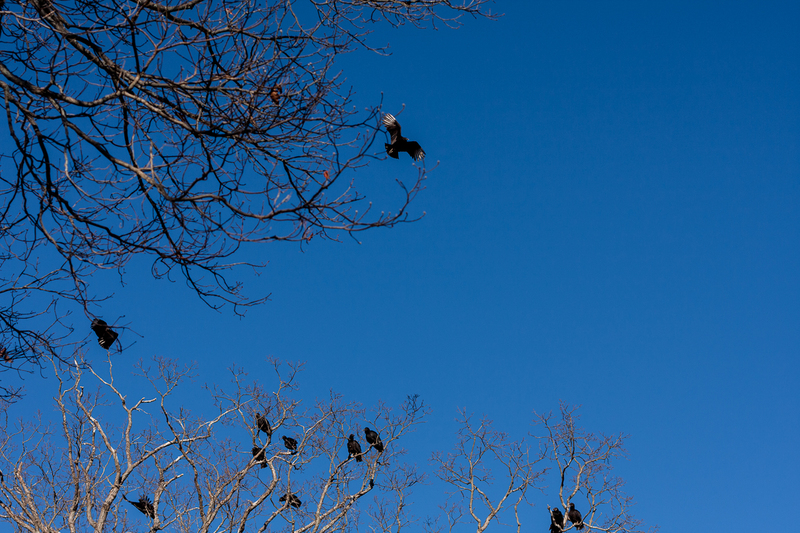 On balance, though, their role as scavengers is economically more important than their occasional predation. 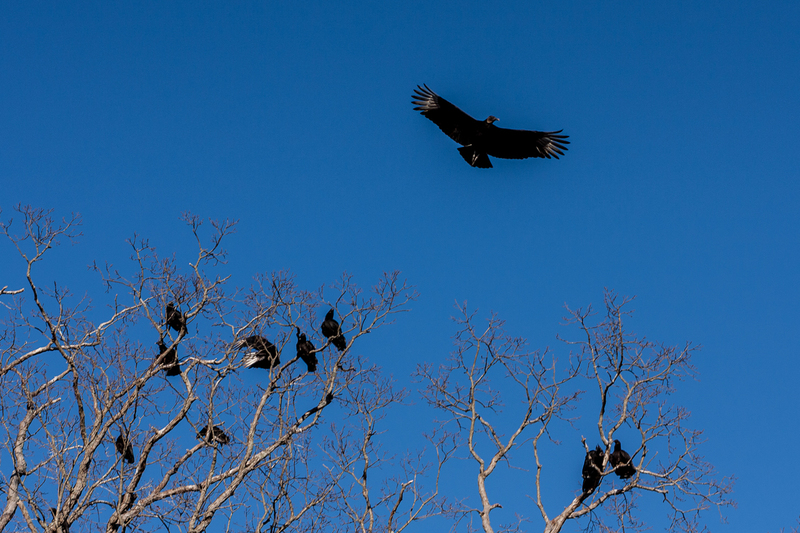 If not for vultures, our roadsides would be deep in animal corpses. 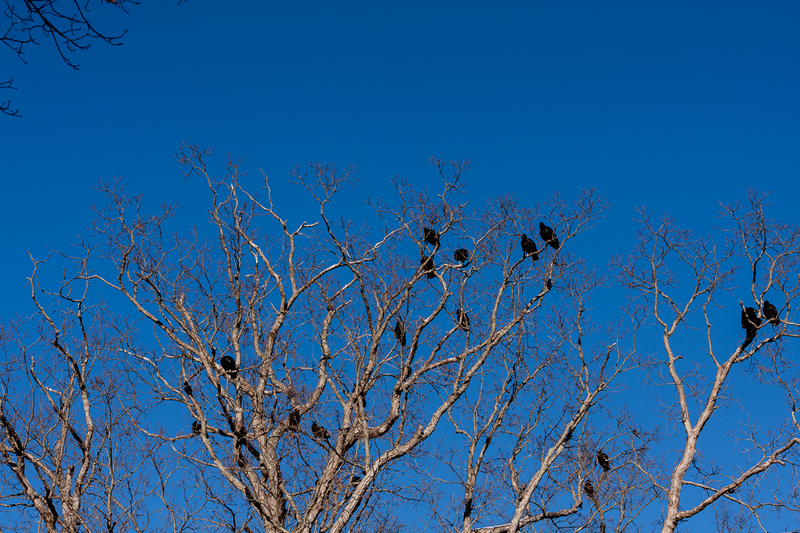 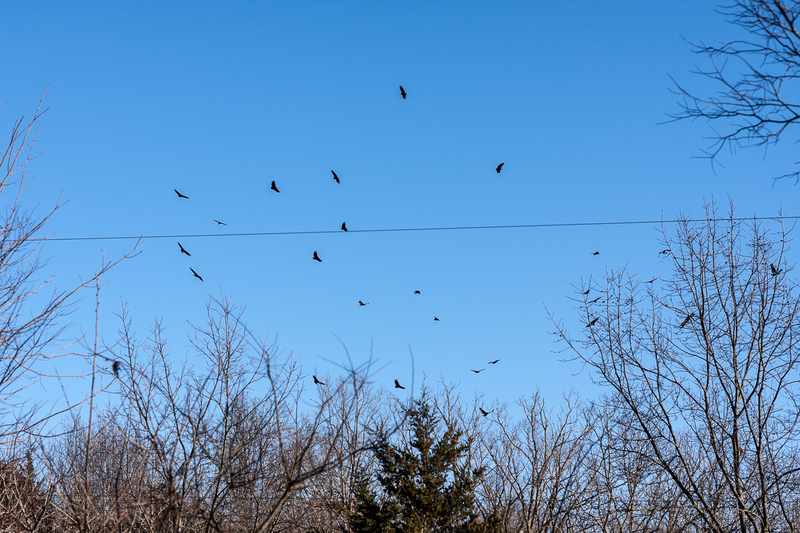 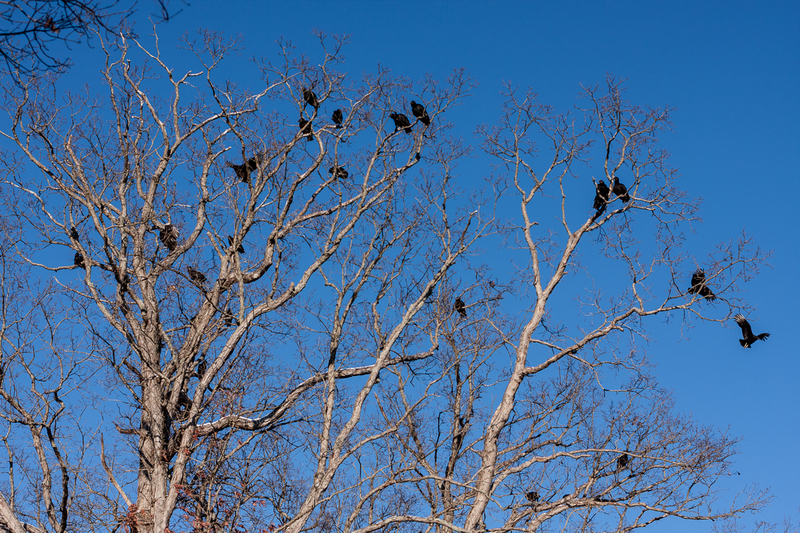 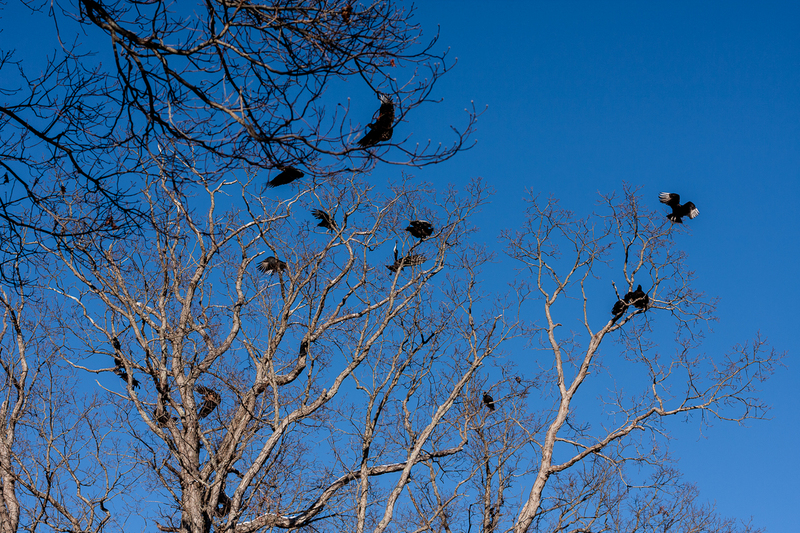 While driving along Owenton Road in Minorville, we chanced upon an oak tree hanging over the road with a large flock of black vultures enjoying the sunshine. 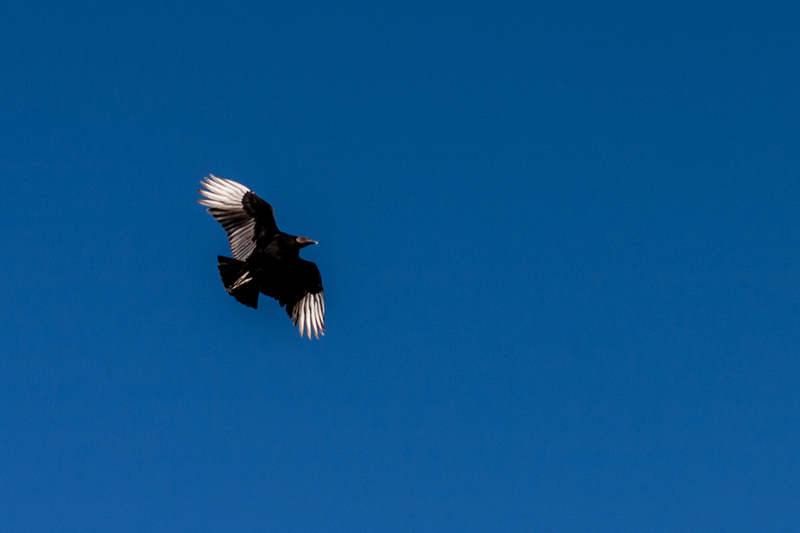 Here is a gallery of photos of these beautiful birds. 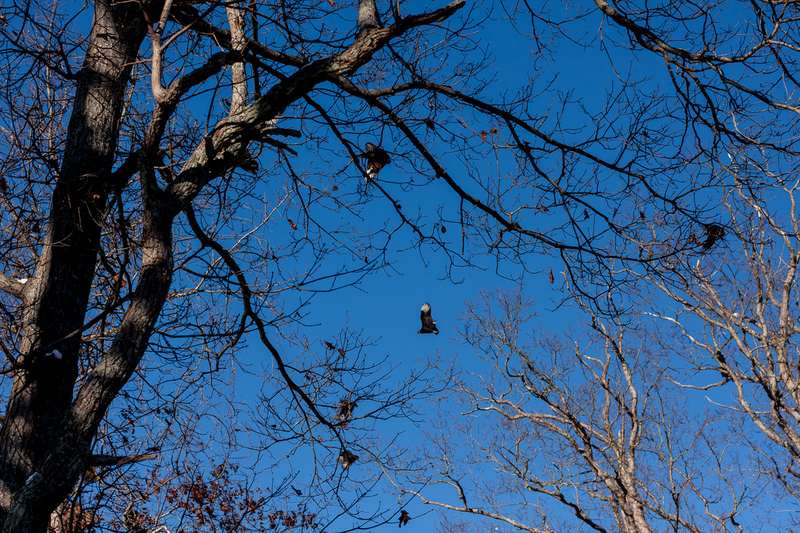 All photos by Katherine Williams Shaw. 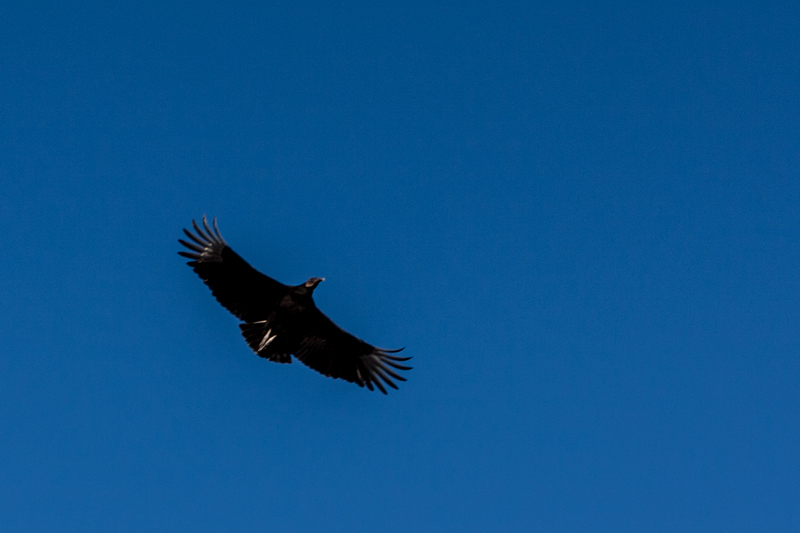 Posted in News and tagged black vulture, Coragyps atratus.